A reader recently wrote asking about the difference between a tax-free spin-off and a sale of division or subsidiary. “What’s the difference and which is better for me as a stockholder?” they wanted to know. The answer is important for your investment portfolio and can help you evaluate whether you are dealing with shareholder-friendly management. This has nothing to do with our business. We can't focus on generating electricity if we have to monitor inventory levels at the jewelry store. We can either sell it or set up a tax-free spin-off to our stockholders, but I’m tired of dealing with the subsidiary. It has to go. If the utility company decided to sell the subsidiary, it could go to someone like Warren Buffett, who would typically buy the business for cash. The problem is, the IRS will charge the utility company a capital gains tax on the sale of the business if it has appreciated in value. If the subsidiary has been part of the corporation for very long, it has almost certainly increased in value over the holding period. With most companies in the 35 percent tax bracket, it means that the management will only receive about 65 percent of what the subsidiary is worth on an after-tax basis. If the utility company decided to issue a tax-free spin-off to the stockholders, it would instead incorporate the jewelry store as its own, stand-alone business, give it a new CEO, its own Board of Directors, corporate offices, etc. 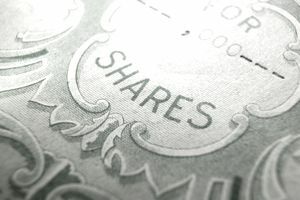 It would print up stock certificates and, in many cases, distribute them to the existing stockholders of the Power & Light company on a pro-rata basis. If you owned 5 percent of the utility company stock, you would receive 5 percent of the total stock in the new jewelry store. In some cases, the company will have an IPO for the subsidiary first, selling a set percentage to the public, such as 10 percent or 20 percent of the shares, and then spin-off the remaining stock to its stockholders. When Philip Morris spun-off Kraft Foods a couple of decades ago, this was the route it chose to take. There are generally no tax consequences because you haven’t received anything new; you always owned 5 percent of the jewelry store chain, now it is just a separate company. The jewelry store chain will be able to focus on what is best for it. Before, it probably couldn't convince the CEO of the utility company to let it borrow money and expand across the United States. Now, it only has to focus on what maximizing its own capital structure. It can sell stock, issue bonds, borrow money from the bank, etc. The utility company is free from distraction and doesn't have to worry about a business that doesn't fit within its strategic long-term goals, meaning it might even improve its own performance. Most of the time, tax-free spin-offs really are win-win situations for everyone involved. There have been several historical cases of once-small subsidiaries being spun-off and going on to grow so quickly, they dwarf the former parent company, enriching the original shareholders.